On a day that Jason Varitek was honored for his 15 years of service Jarrod Saltalamacchia came through with a three-run home run into the visitors’ bullpen. The Blue Jays battled to tie the game in the sixth and took the lead for good in the seventh. Boston’s sputtering offense was 1-for-6 when runners were in scoring position. The best memories of yesterday were of the ceremony for Varitek. 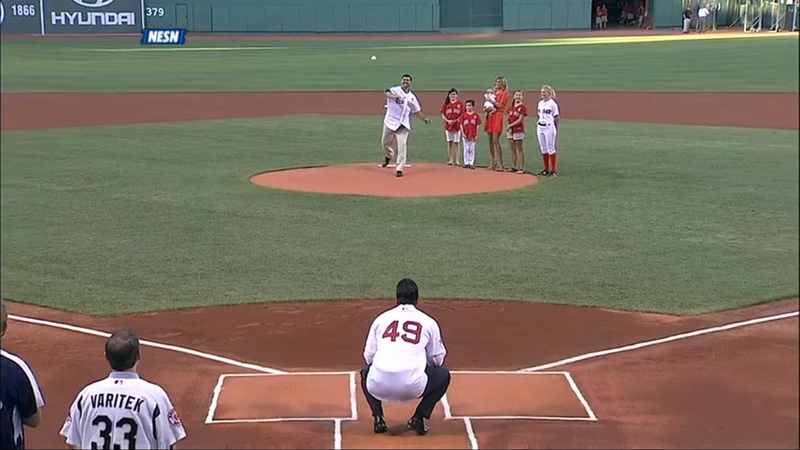 He threw the ceremonial first pitch to Tim Wakefield. 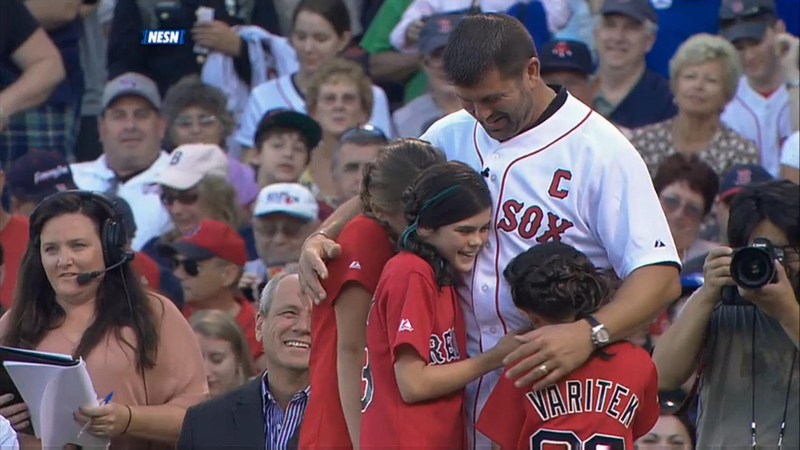 Varitek didn’t just celebrate with his Red Sox family but with his own family, too. The burly backstop didn’t break down until his daughters read their speeches. They thanked him for braiding their hair, road trips, and and being a great dad. In his booth interview Varitek seemed to send strong signals that he he wanted to keep in touch with the game and the organization. There have been a number of strong field managers that were former catchers, so Varitek entertaining thoughts about managing a team are realistic. But even if he doesn’t return as a coach or manager, we’ll never forget the two World Championships, the four no-hitters, the three All-Star appearances, the 2005 Silver Slugger and Gold Glove, and the Punch.